CRM has long been recognised as an important tool for customer service, but in today’s world where a growing number of firms are looking for ways to go above and beyond expectations and deliver a great experience, many are looking afresh at their CRM platform. Manage support tickets, balance workloads and automatically route cases to the agent best qualified to resolve them. Identify common issues and reduce the burden on customer support teams by providing online self-service. Use reports & dashboards to help you monitor SLAs, handle reviews and increase customer satisfaction. Provide consistent and useful advice to customers with agents having access to a knowledge bank of information. Gather insights from customer engagement to improve products and services. Profile customers using scoring to identify customers at risk or upsell opportunities. 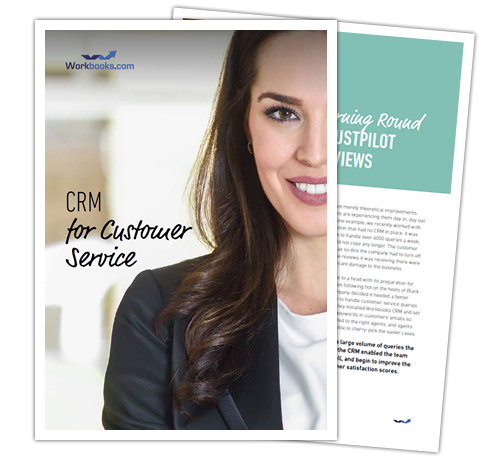 Download our whitepaper now to see how CRM can help you deliver a superior customer experience.